Every Filipino family dreams of a home they can call their own but most aspiring homeowners are deterred from fulfilling this dream by what they perceive as the prohibitive costs of building a house and the complicated processes of filing for a home loan. 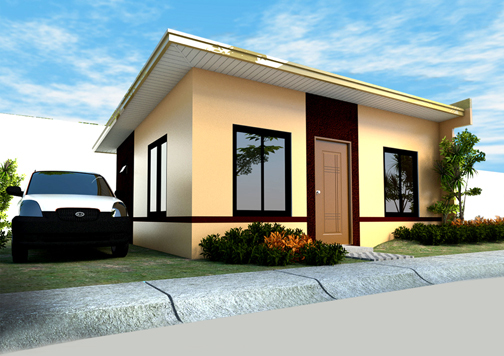 Bria Homes’ Alecza housing project stands on an 81-sqm lot area, with 36-sqm floor area, and is complete with all the necessary housing features for a comfortable living. A property developer now offers high-quality homes that are easy on the pocket. Bria Homes, the fastest growing mass housing developer in the Philippines, hopes to turn every Filipino’s dream home into reality, one development at a time. It is a subsidiary of Golden Bria Holdings Inc., a company with a market capitalization of more than P200 billion. Today, Bria has more than 50 developments across the most progressive towns and cities in the country covering over 700 hectares of land and more are soon to rise. Bria Homes takes pride in the development of affordable house and lot packages located in wholesome and pleasant communities where residents enjoy a happy and holistic lifestyle with their families. Bria is committed to addressing the perennial housing problem in the country and aims at building vibrant and sustainable communities by providing Filipino families with their dream home. It offers easy-on-the-pocket homes that do not compromise quality and utilizes the latest and most advanced technologies to ensure fast construction and on-time turnovers of projects. Bria builds its communities in the midst of pleasant, serene and peaceful environments. It also provides the best service possible to prospective homeowners. Bria’s communities are strategically located in communities where economic progress thrives—near job opportunities, shopping malls, schools, hospitals, places of worship and other key establishments as well as major roads and highways.